CONGRATULATIONS ONCE AGAIN TO THE HOME VINTNER WINE GUILD! 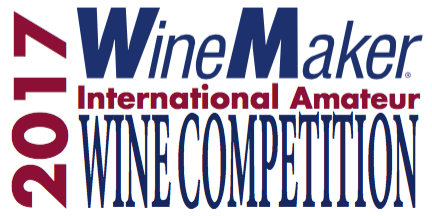 WineMaker Magazine's International yearly wine competition is the biggest amateur wine competition available. Competitors submit bottles for judging against an array of varietals and wine styles. Kit wines compete alongside fresh-grape entries in blind tasting flights to win their way to the top! This year there were 2497 entries that included 7 Countries (50 American States and 6 Canadian Provinces). Kellie B - Guild Member, Airdrie Staff and competition mentor. Third year competing internationally, and GOLD three years running! SILVER - Sherry Style, Apera - dry style. Ken G - Guild Member, Wine Judge and NW Customer. Ken is a VERY accomplished and long standing guild member and wine maker. He has competed for many years over many competitions, and wins consistently. Ken has also been a great mentor for competition. Kelly M - Guild Member and Airdrie Customer. This is only Kelly's second time competing, and she has medalled - EVERY TIME. Congrats Kelly! SILVER - Port Style - Chocolate Salted Caramel Dessert Wine. Mitko T - Guild Member and NW Customer. Mitko took a chance and decided to try competition for the first time - on his very FIRST WINE KIT that he has made. WOW! BRONZE - Red Table - WV California Trinity Red. Thank you again to our Guild for making the effort to compete. Submissions for the 2018 competition will need to be submitted by mid January of 2018. Time to start planning what wines you may wish to compete with - well - now!